Newbie Investor? Take ACTION NOW! with Chicago Action Investors! ForumsArrowReal Estate Events and HappeningsArrowNewbie Investor? Take ACTION NOW! with Chicago Action Investors! Location Please message me for location info. Yes this group is all about kicking A.S.S! No sitting, no quitting, no deliberation, or hesitation, just swift and calculated strategies to take you from starter to MASTER on your REI journey. Starting out as a Real Estate Investor can be a lonely time filled with doubt and insecurity. You know where you want to get to but have no road map to get you there. You’ve spent hours reading books and blogs, picked up every podcast possible and networked with other newbies and pros at your local REI club. But still, you haven’t analyzed a deal or made an offer, closed a transaction or sourced financing! 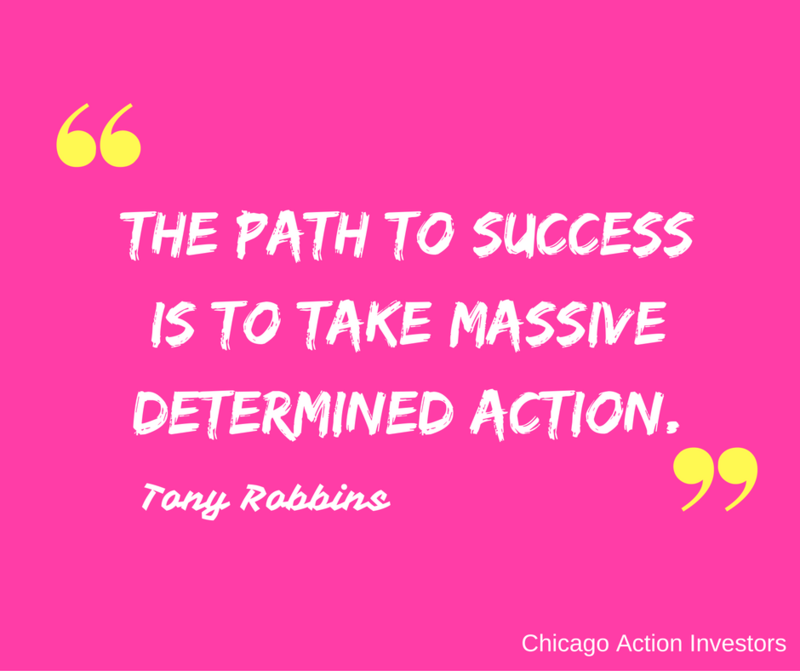 But that’s all about to CHANGE right NOW if you’re ready to take ACTION! CAI meets up every Saturday on the south side of Chicago to analyze prospective properties for deals. Our goal is to form partnerships to close on these deals in a short but realistic timeframe. It’s a great way for newbies to get started in Real Estate Investing using no money down techniques. A well-structured joint venture is the only sure way to get in on solid opportunities to increase your bottom line. Collectively, we are much more powerful and capable than any one individual could ever dream of becoming on their own. And that is why we’ve teamed up with experienced investors and created a ready-to-go system that creates a powerful opportunity for you to build more wealth. Working with a team of like-minded individuals with the same goals and objectives is the ultimate leveraging tool to increase gains and expand your real estate portfolio. • Access funding without collateral, we'll show you how! PM me to receive location details for Saturday's meet.